We are loving anything satin right now and this dress is all kinds of goals. 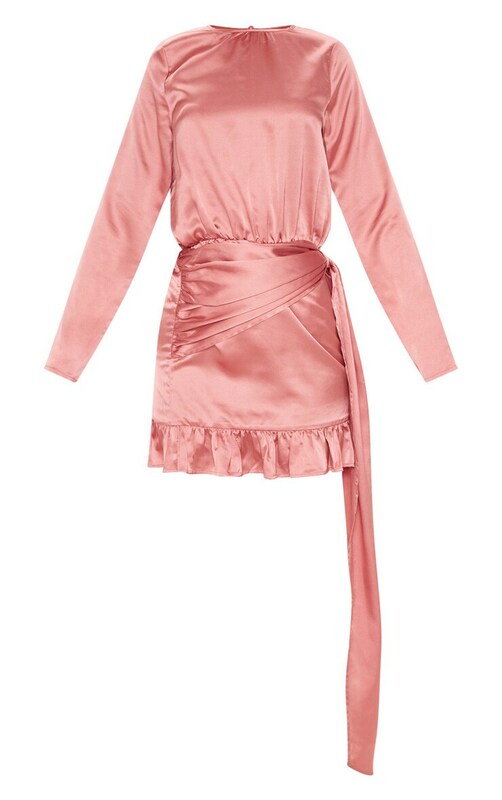 Featuring a rose satin material with a drape frill hem and long sleeves, what's not to love about this dress? Finish off this ocassion-worthy look with barely there heels and your fave clutch for a look we're loving.